Where is Weigel Health Center located? Weigel Health Center is located on Academic Drive, next to Chase Hall (University Police). Student Health Center is located on the 1st floor. Counseling Center is located on the 2nd floor. Health Promotion office is located on the second floor of Weigel Health Center. Who gets to use the Student Health Center? 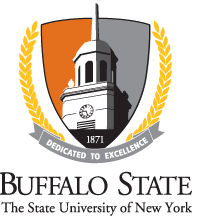 Weigel Health Center is open to all Buffalo State students. The Health fee (charged each semester) is a mandatory charge. In addition to supporting the operation of the Weigel Health Center, the fee is used to promote many health and wellness programs conducted for the benefit of students. The Health Fee is not health insurance and is mandatory for all students. The Health Fee cannot be waived except by Distant Learners (Those who reside outside of Erie and Niagara counties and are enrolled exclusively in other types of classes that never meet on campus). Do I need health insurance to be seen at Weigel Health Center? Your Health Center appointment is covered by the Health Fee. All full-time students are required to have insurance (either your own, under a parent). Health insurance is needed for Emergency room, Urgent Care, and Prescriptions, X-rays Physical therapy Vision, Dental Services. Not all insurances are covered outside of your residential area. It is the students responsibility to contact their insurance carrier to determine what for and if they cover in the Buffalo area. How do I get seen in the Weigel Health Center? Students are encouraged to make appointments, walk-ins will be evaluated and given an appointed if needed per availability. Monday, Tuesday, Wednesday, Thursday & Friday - 8:30 am - 4:30 p.m.
Weigel Health Center is open during spring break, summer break, and winter break. Emergencies will be evaluated as needed. Will my parents know I was seen at Weigel Health Center? According to HIPAA regulations, Weigel Health Center, does not disclose any medical information without written consent from the student. However the insurance subscriber may receive an “Explanation of Benefits” (summary of laboratory tests) document. What services are provided at Weigel Health Center? Weigel Health Center provides many services that may be beneficial to our student community; we have Physicians, and Nurse Practitioners, that can provide general health care and women’s health care. We also provide Nutritional Counseling, HIV Testing, B/P monitoring and Smoking Cessation to name a few. Click here for a full list of Services. What medical supplies should I bring to college? What do I do if I become sick or injured when the health center is closed. After hours and on the weekends you can still speak to a nurse by calling FoneMed Service 1-866-710-1002. If it is an emergency and you are on campus call 878-6333. If it is an emergency and you are off campus and you need an ambulance call 911.